Oct 22, 2016 We appreciate your feedback and are glad that you were able to get in touch with our service department. Once one of our service technicians comes out to your home next week, he will gladly inspect the system and go over any concerns. Yes, Unfortunately a new worker came to our home & convinced my husband we needed gutter covers. The installation was very POOR at best & the parts (Spacers)are still falling off the gutters every day!!! At $1700, I doubt this will be of help to us. 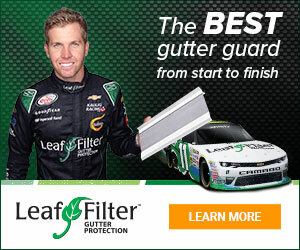 The Leaf Filter company doesn't stand behind their installers to show them how to install them properly! What a waste of hard earned $$$!!! I have several discusted reviews to write, maybe we can keep some people from wasting their hard earned money like we did! Review #940656 is a subjective opinion of User940656.